FreshDirect is a veritable foodie paradise, with more delicious items than you can sample in a year. It’s got meals, meal kits, groceries, and drinks you can order and have delivered to your door anytime. The variety is immense, the quality is high, the service is stellar, and everything is unbelievably fresh, but what about the prices? As the store features more than 3,000 items, it is hard to speak in general terms, so we’ll take a look at the price ranges for all the most popular product categories in order to provide you with the whole picture. Let’s get started. 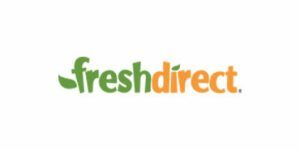 FreshDirect meal items are divided into 14 basic categories: appetizers, breakfast, deli salads, entrées, green salads, marinated & kabobs, meal kits, pizza, salsas and dips, sandwiches and wraps, sauces and marinades, sides, soup and chili, and sushi. As far as the appetizer prices go, ready-to-eat hors d’oeuvres cost between $13.99 and $27.99, ready-to-bake hors d’oeuvres cost between $6.99 and $16.99, the prices of wings and chicken fingers range from $7.99 and $15.99, and dumplings and buns cost between $5.69 and $15.99. The prices of breakfasts normally range from $2.99 to $14.99, deli salads mostly cost between $3.99 and $19.99, and green salad prices range from $5.99 to $8.99. FreshDirect entrées are particularly numerous, with a vast price range. Rotisserie items, including chicken, half chicken, and sides, cost between $5.19 and $9.99. Single-serving entrées cost between $6.99 and $12.99 while the prices of entrées that serve 2 or more people range from $6.99 to $24.99. Quiches and pot pies cost between $6.99 and $14.99. Meals, snacks, finger food, veggies, sides, and breakfasts for children come at prices ranging from $3.49 to 24.99. The prices of kabobs and marinated meat, poultry, and seafood range from only $2.99 to as much as $95.99 for 10-12 servings of farm-raised lemon and dill salmon. Pizzas cost between $6.99 and $19.99. Some salsas and dips can be bought for only $1.99 while the priciest dips cost $9.99. The prices of sauces and marinades range from $3.99 to $7.99. All sandwiches and wraps cost $7.49. Side dishes cost between $3.49 and $16.99. The prices of soups and chili range from $4.99 and $18.99 while sushi costs between $4.99 and $14.99. Meal kits available in the standard FreshDirect offer come at prices ranging from $7.50 to $14.99 per serving. Smart and Simple kits normally cost between $7.50 and $9.94 per lb. The prices of stir-fry kits range from $7.33 to $10.99 per lb. The prices of groceries vary immensely, depending on the type and the quantity. We’ll just look at several most popular categories, so you can get a sense of what you can expect. For example, both fruit and vegetables can be bought for less than a dollar but can also cost as much as $69.99, which is the price of a case of fresh pineapple and blueberry medley. The most expensive cuts of meat can cost nearly $30 per lb while the most affordable meat and poultry, such as chicken drumsticks, can cost only $1.99 per lb. 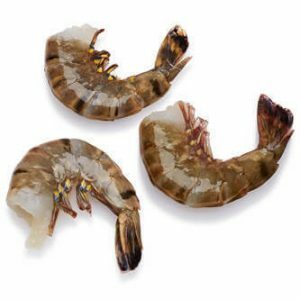 Prepped-to-cook seafood costs between $6.99 (e.g. 1 lb of fish cubes) and $50.00 (e.g. farm-raised lemon and dill salmon for 4 to 6 people). FreshDirect offers beer, wine, and spirits, as well as a variety of non-alcoholic beverages. Beers normally cost between $1.41 and $26.62 per pt. As you can imagine, the price range for wines and spirits is enormous, ranging from around $10 to more than $100. The prices of non-alcoholic beverages are rather affordable. For example, the prices of juices usually range from $0.59 per pt. for virgin lemonade to just over $5 per pt. for organic, high-quality juices. As you can see, the price ranges really are immense, but now you at least know what to expect when you stop by the FreshDirect store.